Many people do not know or simply forget about one amazing country in Northern Europe. Located between Russia, Sweden, and Norway, the Baltic Princess Finland is actually an amazing destination undoubtedly worth visiting. Although Finland is usually associated with numerous lakes and vast snowy areas, this country has a lot more to offer to its visitors. Its capital city, Helsinki, is the best proof for such a claim. The place of culture, astonishing architecture and a unique way of living is truly a top tourist destination. Where Is It and How to Reach Helsinki? Helsinki is the largest city in Finland and also its capital, as well as its most essential cultural and economic center. It is located on the shores of the Gulf of Helsinki in the southern part of the country. It is quite near to the capital of Estonia, Tallinn, but it has close connections with Stockholm and St. Petersburg too. The entire city is oriented towards the Baltic Sea and that is why people often refer to it as the “Daughter of the Baltic”. Although it is located in the far North of Europe, the temperatures here during the winter are not as low as one might think. Despite that, it may be better to visit Helsinki during the summer when the weather is more appropriate for most of the people. 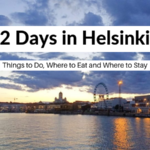 You can visit Helsinki whenever you want and without any special activities. There is a super-modern international airport in Helsinki with connections to every corner of the planet. The center of Helsinki is reserved only for pedestrians and bicyclists but you can roam around the city with its efficient public transport system. No matter what sort of transportation you choose (bus, tram or metro), you will enjoy your ride. Helsinki is quite a young city, at least for European standards. It was established in 1550 AD. Its founding father was the Swedish King Gustav I who wanted to create a true rival to another Baltic capital – Tallinn. But his plans were not implemented the way he wanted and Helsinki remained a small trading port for the next few centuries. The situation changed in the early 19th century when a huge Maritime Fortress was erected near the city. Very soon, Finland became part of the Russian Empire and Helsinki was declared its capital. Russians wanted to leave a huge mark on their newest territory, so they decided to completely rebuild and further develop Helsinki. New plans were made and St. Petersburg served as the role model for future expansion of Helsinki. In 1917 Finland became an independent nation and Helsinki remained its capital. In 1952 this incredible city hosted the Olympic games and ever since it has continued to grow and improve. Today, Helsinki is a modern European metropolis with numerous attractions one should definitively see. Helsinki is an attraction all by itself. Its amazing correlation with nature makes it a truly unique place. 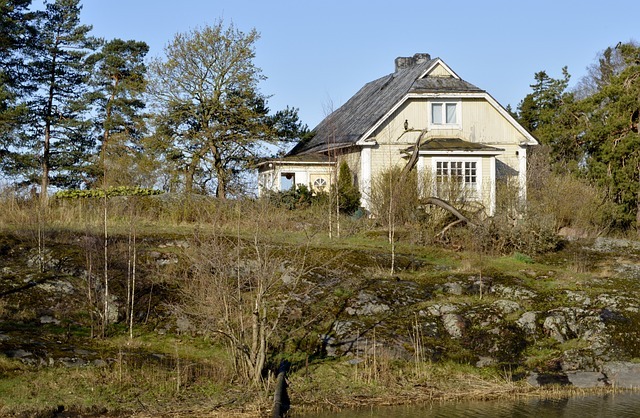 It is oriented towards the Baltic Sea and there is a small archipelago right off its shores. During the summer you can witness a true dialogue between nature and the city. Nevertheless, the Finnish capital is a place where you can enjoy spending a lot of time exploring its landmarks. Suomenlinna is the, already mentioned, maritime fortress which was crucial for Helsinki’s development. It used to be the largest fortress on Baltic Sea but today it is a huge tourist complex with a huge Museum and a large number of restaurants, bars, cafes, theaters, galleries and more. One might say that Helsinki is the city of museums, parks, and churches, among all museums, you should definitively check out the Design Museum and the Museum of Cultures. They are quite unique and have some extraordinary exhibitions. You should also check out the Military Museum and the Submarine Vesikko – a small museum within the only surviving type of submarine. 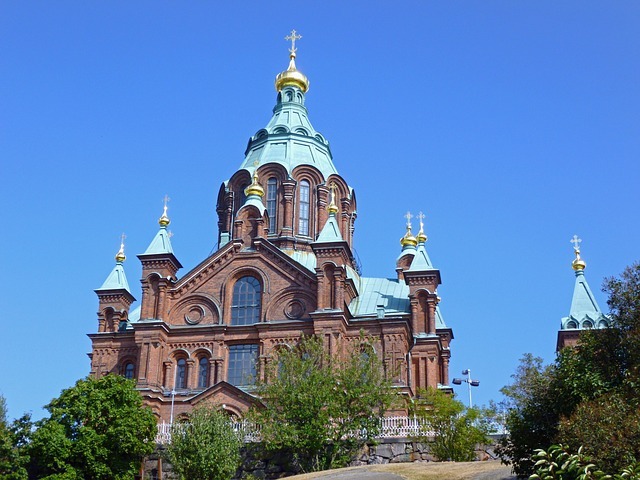 Lutheran Cathedral and The Church in the Rock are the most notable landmarks of Helsinki and places you should definitively not miss. Uspenski Cathedral and the Old Helsinki Church are also cool spots for a few great selfies. Once you are tired of walking and touring take a breath in one of the numerous but beautiful parks. My favorite is the Esplanadi Park but Töölönlahti and Alppipuisto will not disappoint you either. In the end, one can truly say that The Daughter of the Baltic is a one of a kind place you should visit. You will not regret this trip, that is a promise. Helsinki is a metropolis that yearns to host visitors, to show the tourists all the tremendous places within its borders and a capital that will make sure every visitor remains fascinated by its beauty. That is why the authorities tend to broaden the accommodation offer every year. 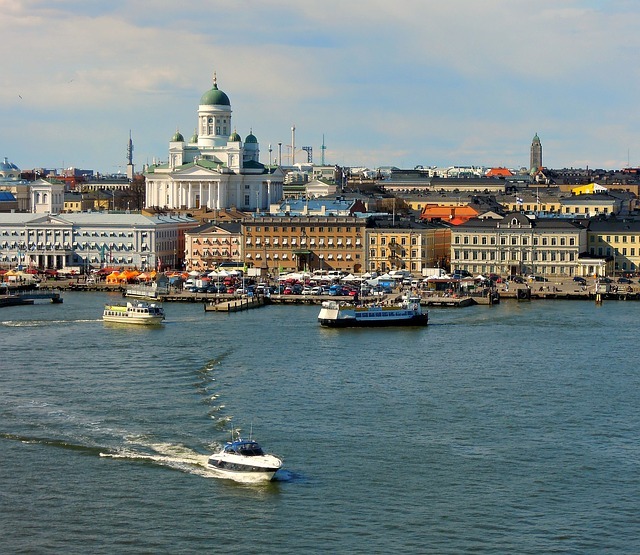 So far now, Finland’s capital has come to a point where it has a lot to offer when it comes to lodging capacities. Thus, the visitors are able to choose from the wide array of hotels, hostels, B&Bs, campsites, and private apartments. If you plan your trip to Helsinki, and still don’t know what type of lodging to choose and where to stay, we present you some of the options and give you several pieces of advice, so that your journey goes smoothly and effortlessly. When it comes to hotels in Helsinki, they always depend more on the location and the price, than the service they provide. This is because the competition in the city is very strong and the country indeed has high standards when it comes to hoteliers. 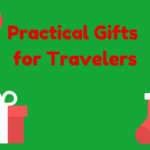 Thus, as a guest, you will surely get a good service for the price you pay, you just need to decide whether you will stay in a luxury hotel and have an all-inclusive service, or you will cut down on the accommodation expenses and save your money for the excursions, sightseeing, and picnics. If you are not traveling on the budget, then you have a wide offer. Perhaps the most popular and most unusual hotel in Helsinki is the Hotel Katajanokka. It is placed in the center of the city, but what is specific about this place is the fact that it used to be a prison. Today, it is transformed into a fabulous hotel, with spacious rooms, usually made of two-three former prison cells. Every room is colorful and magnificently decorated. The rooms contain a cozy bed, writing desk, and a minibar. Moreover, there are rooms suitable for bringing pets, so if you plan to bring your best furry friend to Helsinki, Katajanokka is the right choice for you. In case you are more for the inexpensive varieties of accommodation, you may try with campsites and hostels. There are countless choices of hostels in all the parts of the city, some of which are in the center or at least very close to it. They do not cost a lot, and still provide you with basic services and sometimes more, depending on how much you are willing to pay. Be sure to get a nice bed with clean linen, and a toilet. Thus, the good options are Eurohostel Oy – placed in the center of the city, Hostel Academica – in the Helsinki city center and Hostel Diana Park – also placed in the center of Helsinki. There are dozens of other options including studio apartments and B&Bs. These are great options if you would like to have a home-like atmosphere and more privacy than in a hotel. What is more, they are a cheaper variant, which is great for your wallet. It is simply impossible to count them all, not to mention recommend them here. But for a start, we will give you a hint. You may start with your research on Juan Apartments, Helsinki Bed and Breakfast, and Katajanokka Studio Apartments. Apart from the well-known fish and other seafood offered in Finnish cuisine, you probably did not know that people in Finland simply adore eating vegetables and mushrooms, as well as berries. 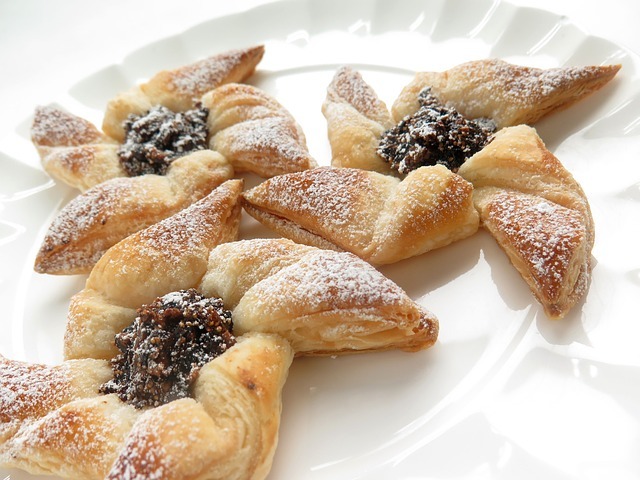 The characteristics of the Finnish cuisine is that it has been influenced by various cuisines from the east and west. Thus, in some way, it has gathered all the good features of gastronomy in one place. One of the most popular Finnish dishes and our recommendation for you to try is Ruisleipa or a rye bread. It is made from a sourdough and the most popular form involves making a hole in the bread. People used to make it in a way that they hang their bread on poles from the rafters. You can eat it with a tomato or a salad leaf. If you enjoy eating soups, try ‘Hernekeito ja pannukakku‘. Namely, this is a pea soup, cooked with onions, bay leaf, and smoked pork shanks. The interesting thing about the soup is that it is typically served on Thursday in restaurants, and you will even get a slice of rye bread with it. There are other popular soups in Finnish cuisine, including a sausage soup and salmon soup. Desserts are also very tasty, and one cannot leave the country without having them in great quantities. Hence, a must are cinnamon rolls, ‘Korvapuusti‘ in Finnish. These are basically made of a sweet pastry baked to perfection and the other ingredients are butter, cinnamon, and sugar. Also, don’t miss your chance to taste ‘Mustikaapiirakka‘ – blueberry pie. You will not skip it for sure if you go to some of the Finnish cafes or the fancy restaurants. 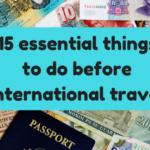 No matter how long or short your journey to Helsinki may be, you should find a way to do some of the amusing and interesting things in the Finnish capital, apart from sightseeing and visiting monuments and historic places. So, the good option would be to have a nice and relaxing picnic in ‘Espa’ – a big green surface in the central part of the city, suitable for having a rest whilst enjoying nature. However, if you want to leave the town for a little bit and research the periphery of the capital, you are welcome to visit Seurasaari Island. It is an open-air museum that will tell you more about the tradition and customs of local people throughout the history. In Seurasaari Island you will be able to see a great collection of typical Finnish buildings made in various parts of the country. In addition, you can always visit some of the three million saunas in Finland, go to the amusement parks, or attend crayfish parties. The choice is all yours. Kevin Hodgon is a travel blogger who loves unusual trips. On his travels, he likes to explore at a fast pace cramming as much as possible into his day, but not over doing it to miss the beauty around him. Kevin loves to talk about his experiences and share his travel knowledge via guides and articles on his blog. More of Kevin’s work can be found on Instagram, Facebook, Twitter or his Blog.